She's Fantastic: Star Wars Elite Series - ROSE (and BB-8)! Star Wars Elite Series - ROSE (and BB-8)! The Disney Store Elite Series Star Wars figures are pretty great. I wasn't sure how in-depth they'd get with character selection or if they'd take effort to make improvements as the line progressed. Well both of those quandaries were answered in the affirmative. There has been an interesting assortment of characters (all from the modern films however) and all the small gripes I had about the first few figures have been eliminated. Now I wish they would create a similar Marvel line. Even if it was just based off current movie properties, it would be a fun line to collect. I don't know much about this new Rose character yet, but considering the amount of merchandise she's already getting, and especially considering all the different outfits she's been seen in, I'm assuming she's a pretty big deal in the The Last Jedi. I'm excited to see her role, although I have no plans to see the movie until the 25th. It's going to be torture to be waiting and avoiding all the spoilers, but I'll survive. Let's check out Elite Rose below! Note the ring on her Right hand above. I noticed that both the Black Series and Elite versions include this detail. Makes me think it might be important. Rose comes with the little orange tool/weapon. Really curious to see what this thing does in the movie. This figure shows some significant improvements over previous Elite Series figures. Most notably, all the screw holes are now plugged with matching plastic (or metal maybe?) instead of having exposed screws. Also, the joints have a hollow rod structure. Instead of a solid pin. Here are my Rose figures so far: Black Series, Elite, and Galactic Heroes. Here is BB-8 with the first version from Elite Jedha Rey. The Rey version is on the Left and the most notable difference is that the older one is a dingier white color and the smaller eye is blue. And here is BB-8 with the Black Series version. Here she is with the rest of the Elite Series ladies so far. 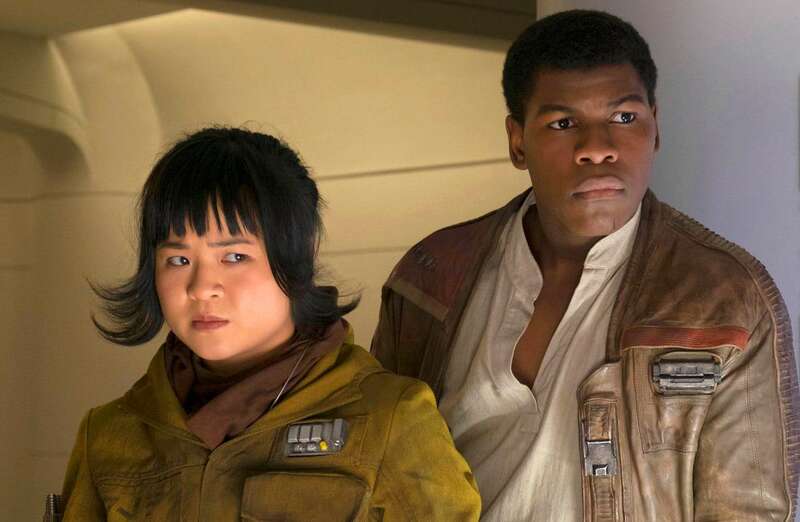 From Left to Right, Jyn Erso, Rey (Jedi Training), Rose, Captain Phasma, Rey (Jedha), and BB-8. 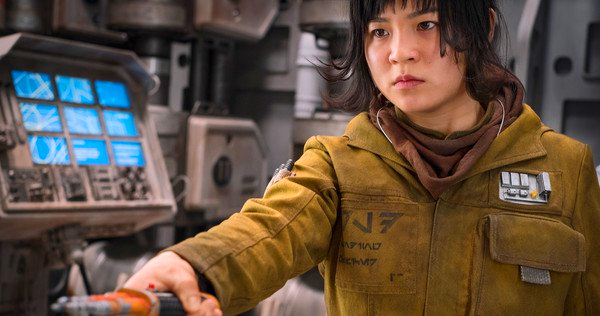 Is it just me, or does her little orange tool look just like the little piece that attaches to the belt of the SWB Baze Malbus figure? Very good observation! I had to look him up because I only picked up a few figures from that movie. Do you remember if it had a specific role in the plot? Thanks! I don't remember him using it at all, so I was confused as to why it came with him. Probably the same kind of thing though. And now we know what hers is.